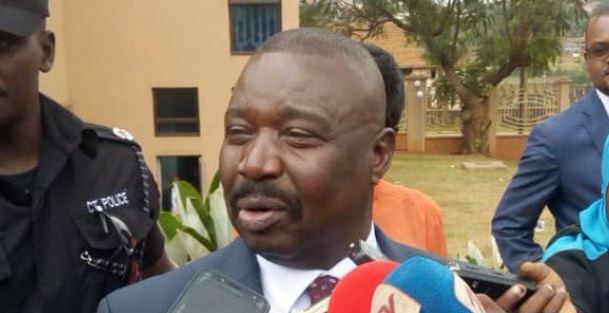 KAMPALA – The Deputy Attorney General of Government Mwesigwa Rukutana has been chased out of the public hearings of the Land Probe Commission for being disrespectful. This is after the Commission Chaired by Justice Catherine Bamugemereire cut the Commission’s engagement with Rukutana pre-maturely today while describing the Deputy Attorney General as disrespectful in a way he was responding to questions put to him by the Lead Counsel Ebert Byenkya. Rukutana who was furious when asked about how Shs24.4billion was going to leave the government treasury thought he was being disrespected with the kind of questions that where put against him. He told the commission that he would not respect anyone as long as he is not accorded the same. 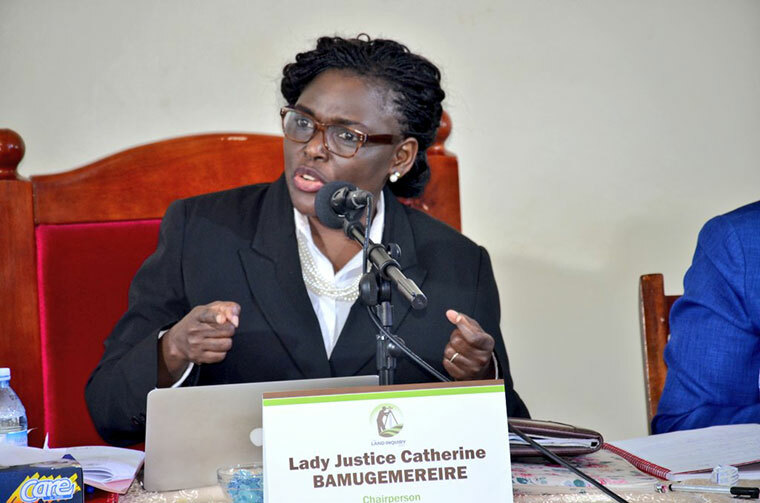 This did not go on well with Justice Bamugemereire who said she was going to refer the matter to the President who appointed them so that he can find another body the deputy attorney general respects enough to work with. “If you have come here as a deputy attorney general to show this commission that we are a waste of time yet our main objective is soliciting your guidance on how Dr Kasasa was awarded such a compensation. We hoped to get answers but we are turned with a situation of hostility, disrespect,” Justice Bamugemereire said. Adding; “This level of disrespect by government officials makes it difficult for us to continue investigations”. Rukutana had been summoned by the Land Probe to throw more light on how 24.6billion shillings is about to leave the Government Coffers and paid to Dr. Muhammad Buwule Kasasa as accumulated interest for government’s failure to pay him on time for the disputed Mutungo hill land, on which government established an ESO base. Evidence before the Probe shows that the 639-acre piece of Land is a subject of a claim by Buganda Prince David Kintu Wasajja, Dr. Muhammad Buwuule Kasasa, Kagimu Moris Kiwanuka, Government and the affected residents.